On Wednesday, Spotify announced that it has further expanded its Facebook integration by allowing users to create playlists with their friends in Messenger. The way it works is simple: open a chat in Messenger, tap the ‘+’ icon in the lower-left corner, select Spotify, create a playlist, then everyone in the conversation will be able to add songs. 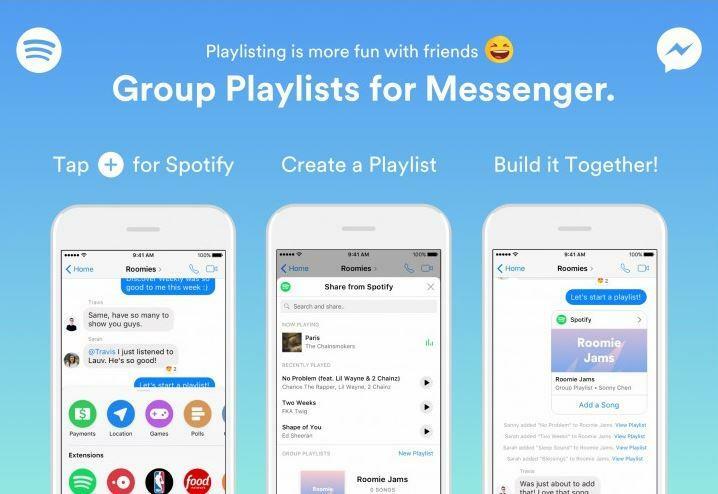 Best of all, your friends don’t need to hold an active Spotify subscription to customize a shared playlist; they can select songs through Messenger itself. Spotify says that the feature, which is currently being pushed out in stages, is perfect for road trips, parties, and other types of excursions and gatherings. Pretty neat, if you ask me.